Peter Oborne, journalist and respected political commentator for the Telegraph, has published a lengthy resignation letter in which he condemns the links between the newspaper and scandal ridden banking giant HSBC. His letter, published online, documents years of editorial decisions marred by the paper’s advertising contracts with the bank, including the decision not to follow the recent HSBC tax-avoidance scandal as closely as other media outlets, and even removing some articles from the site completely. “The coverage of HSBC in Britain's Telegraph is a fraud on its readers. If major newspapers allow corporations to influence their content for fear of losing advertising revenue, democracy itself is in peril,” the letter reads. Their coverage of the HSBC scandal, in which it was revealed the bank had been aiding clients in avoiding vast tax bills, was mirrored by earlier coverage of the Hong Kong protests during 2014. He said the embargo on publishing articles criticizing HSBC had begun in 2013, after the bank suspended its advertising contract with the Telegraph following investigations into its offshore accounts in Jersey. It took the paper a year to regain the advertising contract, Oborne recalls, but the pressure on the editorial sector became intolerable and he resigned in December. He says he fully intended to “leave quietly,” but after the paper’s “microscopic” coverage of the HSBC tax scandal, he felt a duty to speak out. 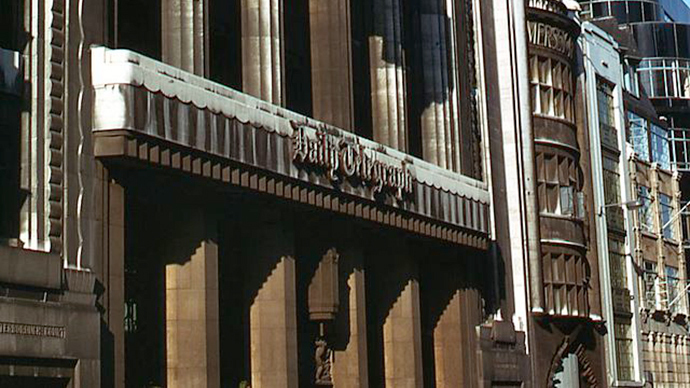 The article, which the Telegraph quietly removed from its website, alleged HSBC had a £70-billion hole in its finances. They took the article down despite the analysis coming from an independent company and being covered by many other news outlets. Sad to see Peter Oborne leave the Daily Telegraph. An iconoclastic voice and a man of integrity. Massie wrote in the Spectator, which itself shares a proprietor with the Telegraph, that if the reputation of the Telegraph had been damaged by the revelations, then the reputation of HSBC is, once again, on the line.